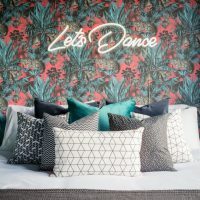 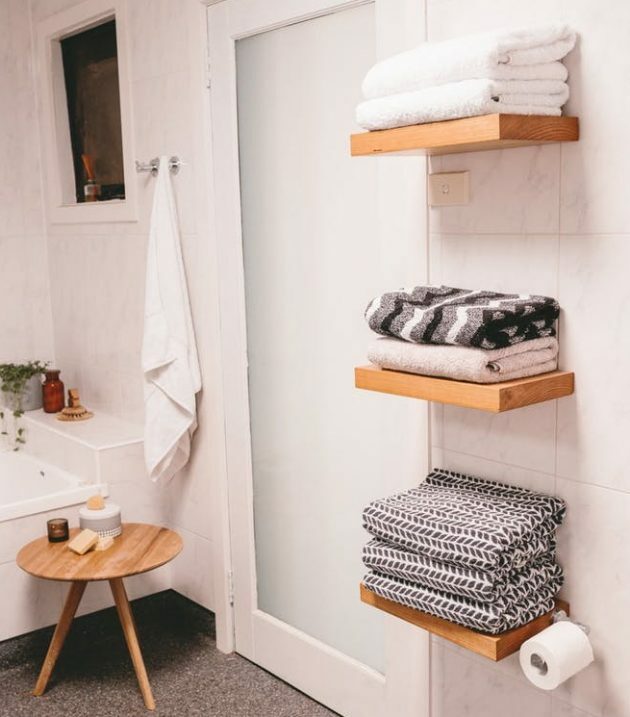 In the arrangement of the bathrooms, especially the small sized bathrooms, the good organization of the space is always a real challenge, because in addition to the sanitary ware and the furniture, it has a lot of things that need a place to storing. 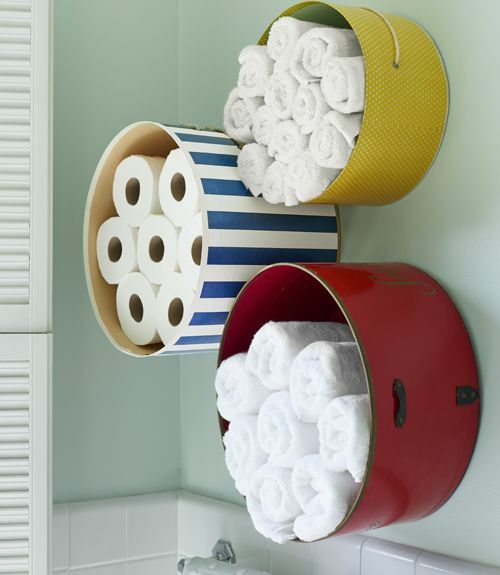 There are so many interesting space-saving ideas for storage which might create a special appearance in the bathroom. 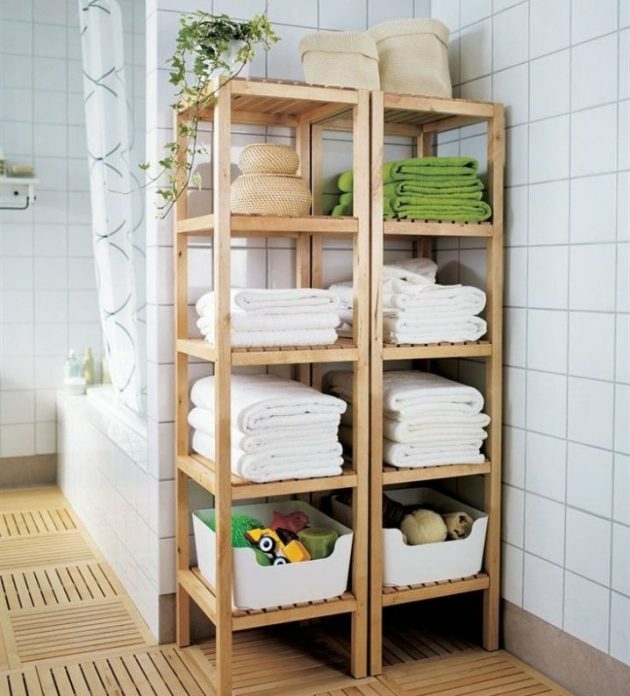 Boxes and baskets made of natural materials, seem interesting, they are not expensive and will save space. 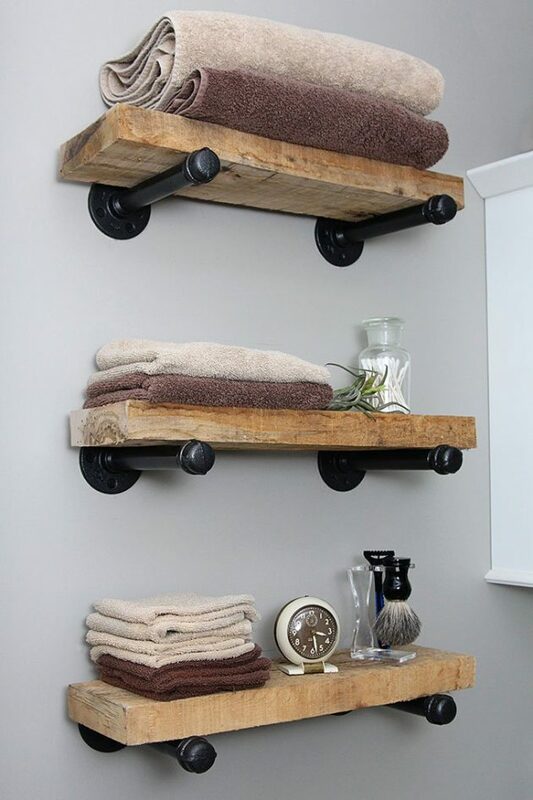 Beside that, they look nice on the walls or shelves. 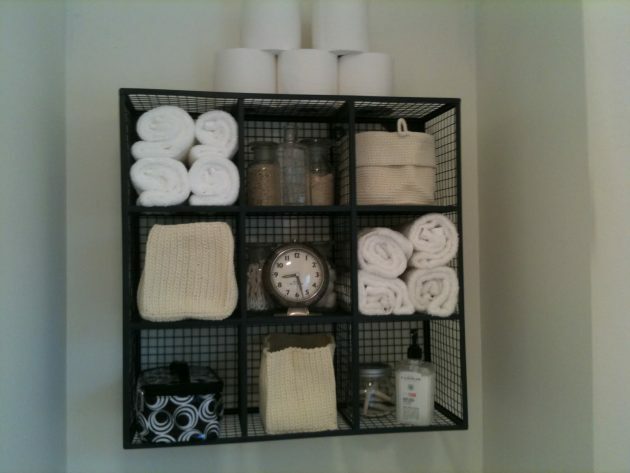 Hanging wall shelves in the bathroom can be used to keep many necessary items which are organized in glass or plastic containers. 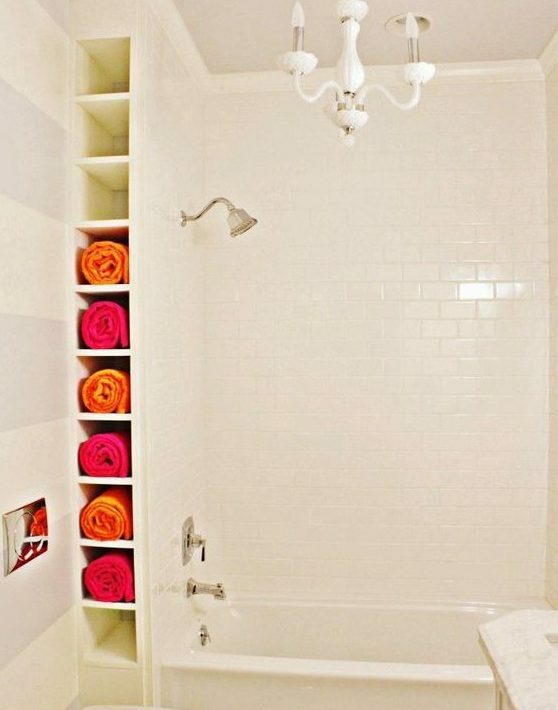 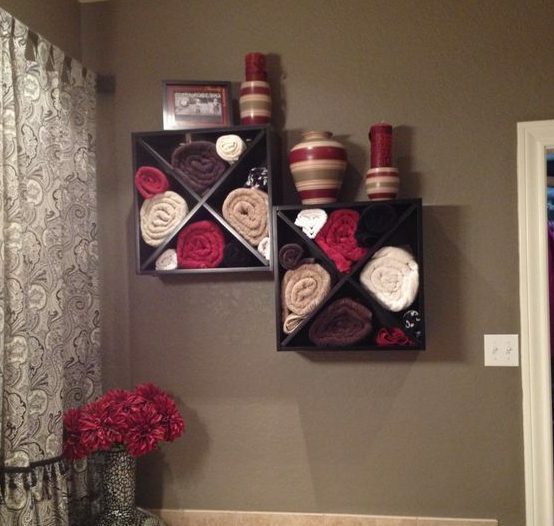 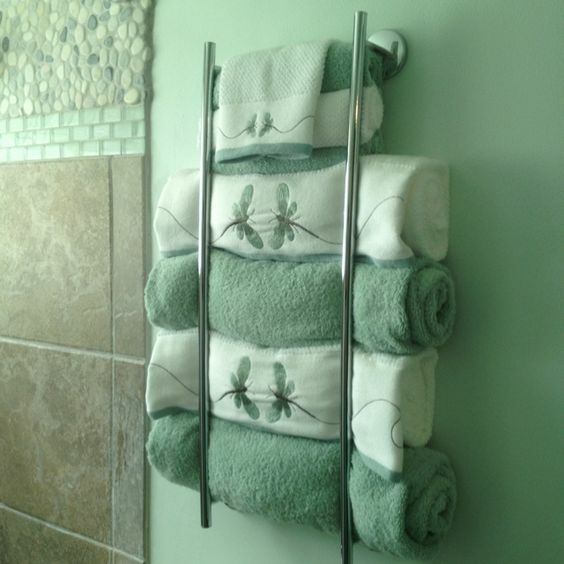 Especially practical can be, also, for storing towels in the small bathroom. 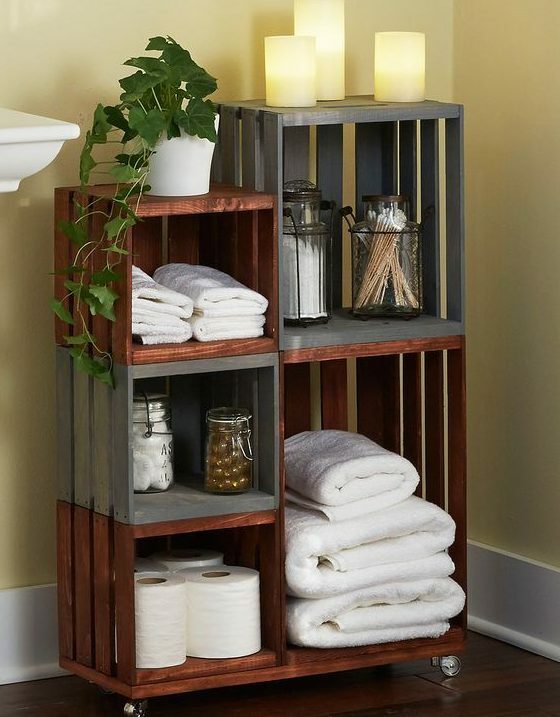 Very easy and with little investment you can make practical storage items from pallets or old wooden crates. 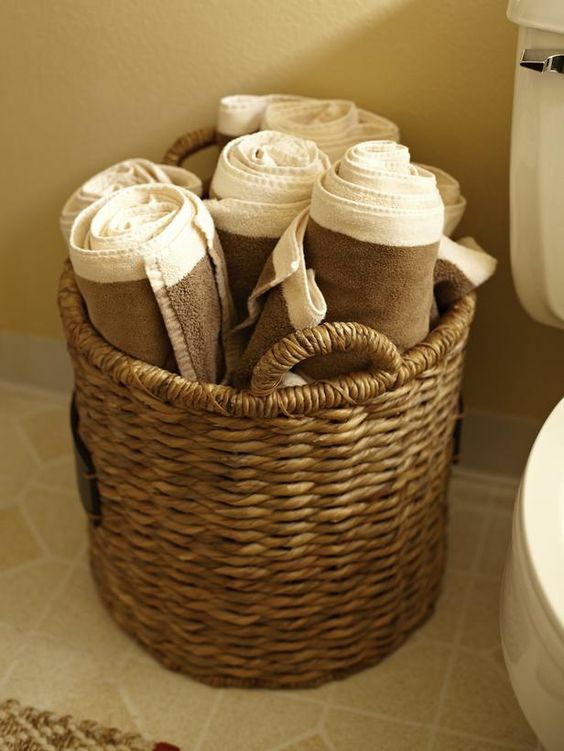 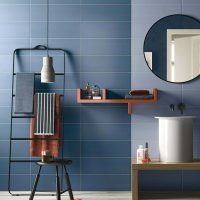 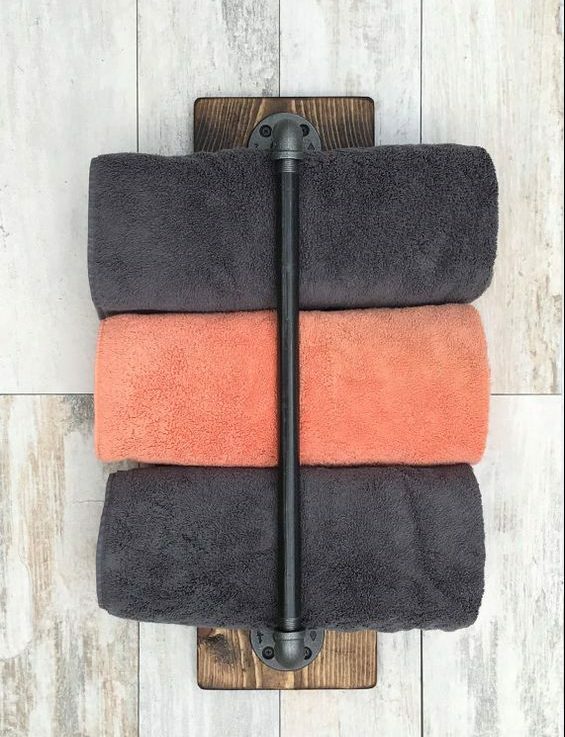 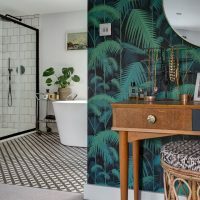 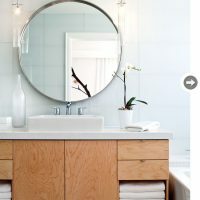 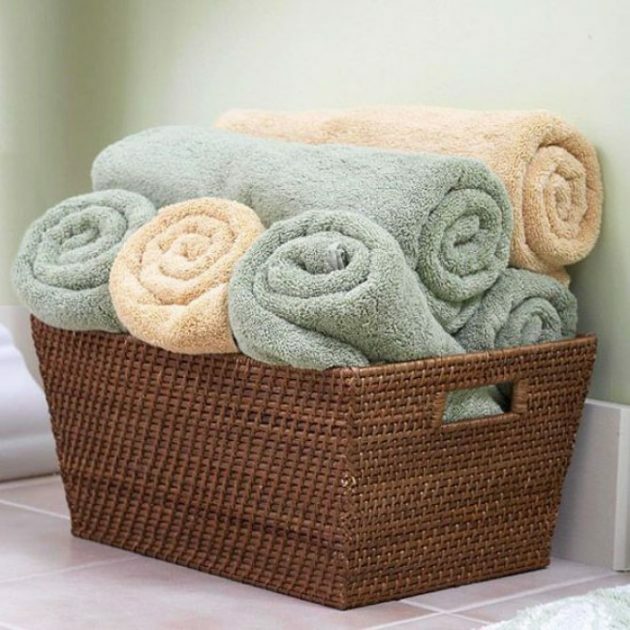 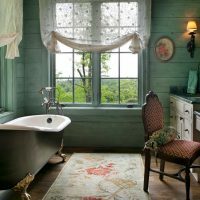 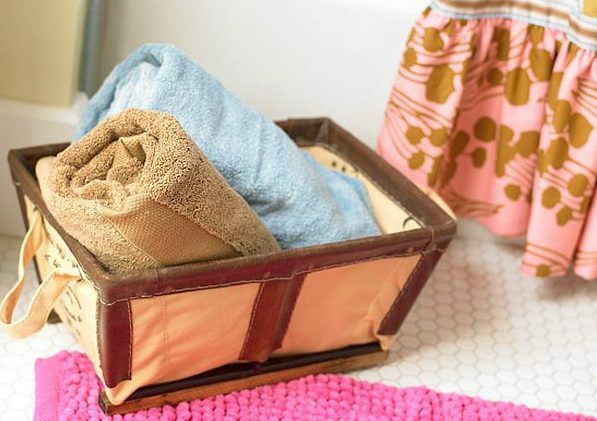 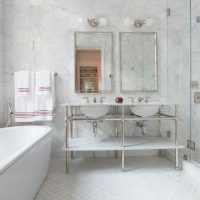 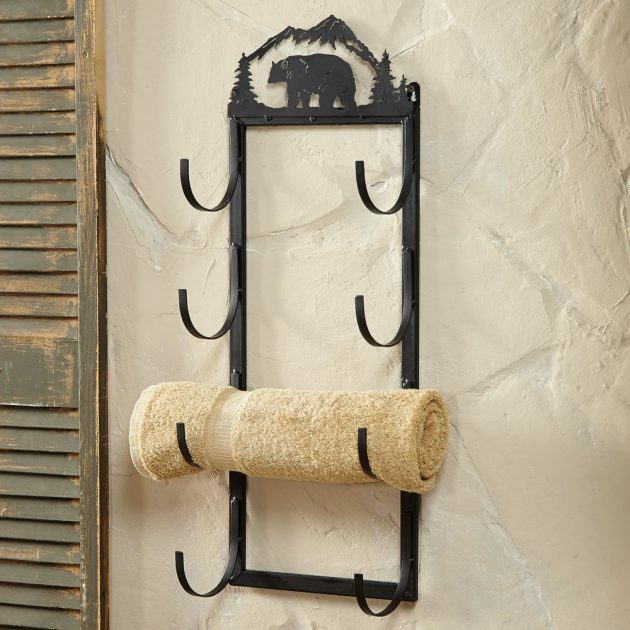 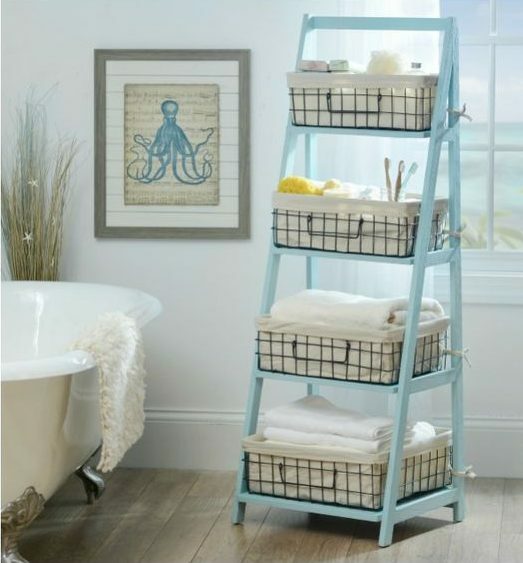 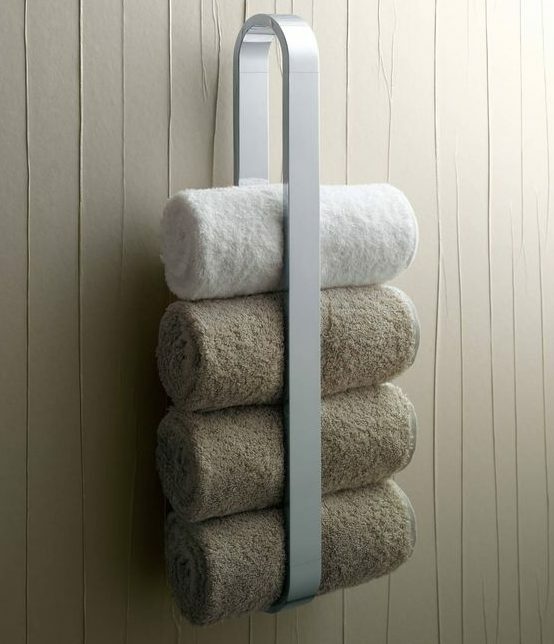 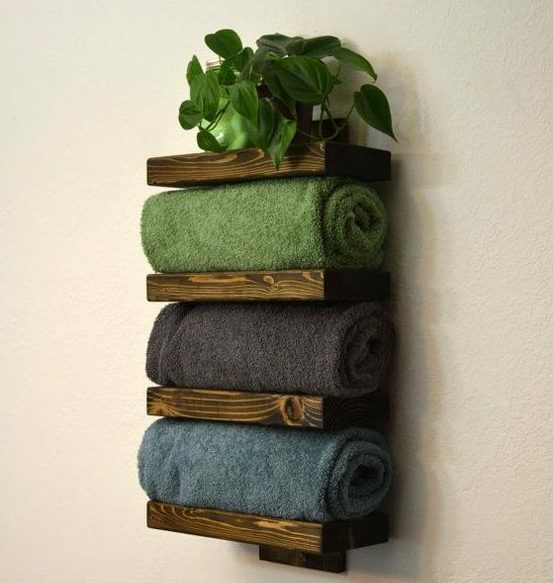 These are some simple ideas for creating extra storage in the small bathrooms, but if you have a lack of ideas for creating towel storage items, take a look in the following collection and you will remain inspired! 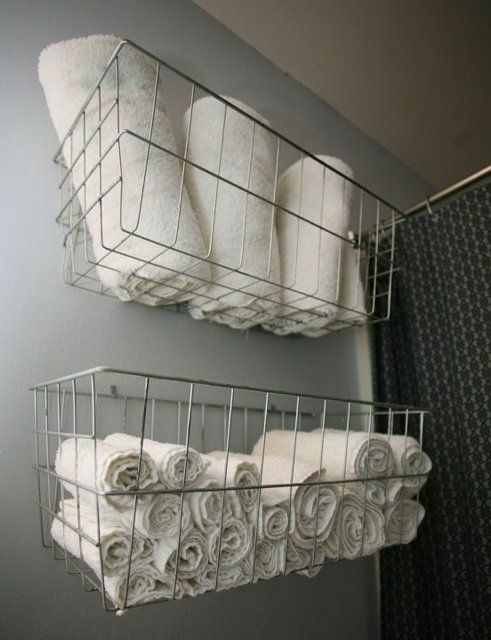 Be productive and have fun!